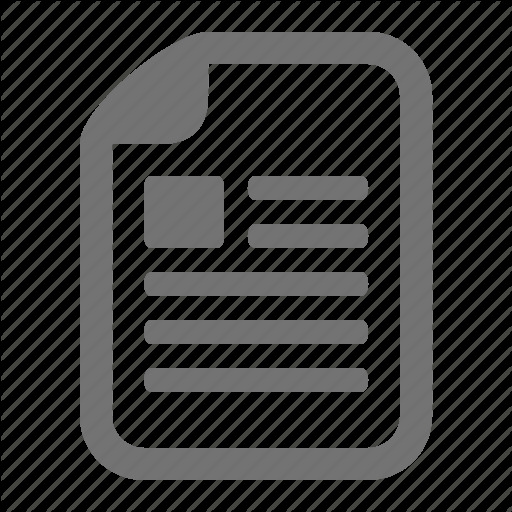 Sports Club Information System Whitepaper Draft Abstract This document serves as a preliminary documentation for the Sports Club Information System project group. It defines standards of practices and project specification. The current version is only a draft and is subject to change during the development process. The entire set of people working on the system. The set of people working on a primary module. The team is led by a team manager. a unit of time which records year, month, day, hour, minute, and second of a particular instance of time. one of financial, staff facility, or courses module s.
Goal The goal of the project is to create a commercial-grade entry-level information system for a sports club. System Structure The system is client/server based with thick clients managing a single database. The database will be an off-the-shelf DBMS while the clients are custom-made. The clients consist of several primary modules, each of which are assigned one module team. maintenance costs and total expense to buy these facilities. Income payment events will use give_money protocol. Maintenance costs and expenses to buy facilities request events will use take_money protocol to interface financial modules. Courses Module is concerned with total of trainers’ salaries, separation pay for fired trainer and income from courses. Trainer’s salaries and separation pay request events will interface financial modules by using take_money protocol. Income payment events will use give_money protocol. Membership Module is concerned with income from membership fee. Income payment events will use give_money protocol. Documentation Languages All the documentation for clients will be written in Bahasa Indonesia while the developer side will be written in English. The reason for this separation is that the end-user will be a typical nontechnical Indonesian; while technical terms are more expressible in English such that technic al documents can be written without introducing nonstandard terms. Database Design All entities that have a time attribute by nature will have a timestamp attribute in the database. Examples of such entities are: $ Member – the member's registration date (also record the time). $ Staff – the enrollment date. $ Equipment – the purchase date. The database consists of two large table entity types which refers to the entities in the club: accounting side and physical side. The accounting side entities records accounting information for the entities, such as purchase price and depreciation accumulation. The physical side records real attributes that are attached to the entity, such as color, weight, etc. Integration The system will be loosely-coupled. Integration between primary modules will be done at the database level. The primary modules shall share a single database schema and coordinate record sharing/locking among themselves (the modules may or may not share a single user-id/password combination, depending on the DBMS used). Each primary module shall maintain data integrity at each transaction. User interfaces should be similar among primary modules. The modules should share a same lookand-feel to ease the user's transition between modules. The look-and-feel should also be intuitive and similar to other Windows™ applications to ease the user in learning the system. The system should share a common logo, a similar splash screen and a similar About Box. The program icons should also be standardized. II. Analysis Process and Modelling Proses analisa yang kami gunakan adalah berdasarkan proses evolutionary atau iterative dimana pengembangan sistem dibagi atas beberapa tahapan, yaitu proses analisa kebutuhan, proses analisa, proses design, proses implementasi dan proses testing. Namun di setiap proses tahapan tersebut, dapat kembali ke tahapan sebelumnya jika dirasakan perlu diadakan revisi atau kebutuhan baru yang akan mempengaruhi keseluruhan sistem. Berdasarkan hasil kebutuhan yang telah dikumpulkan pada tahapan requirement analysis process, maka langkah pertama yang dilakukan adalah mendisain suatu Entity Relationship Diagram (ER diagram) yang merupakan diagram hubungan antara data dan relasi pada sistem informasi keuangan Sport Club. Kemudian juga dihasilkan Data Flow Diagram yang merupakan diagram aliran data-data akuntansi pada sistem informasi keuangan. DFD digambarkan dalam bentuk level 0 dan level 1. Secara garis besar, diagram berwarna transparan adalah diagram ER untuk modul keuangan sedangkan diagram berwarna gelap adalah tabel pada diagram ER pada modul lain yang mempunyai hubungan dengan diagram ER kami. Diagram ER ini didapatkan dari hasil analisa kebutuhan yang telah disebutkan di atas. Masing- masing laporan keuangan dimapping menjadi satu tabel dan di antara tabel- tabel tersebut terdapat hubungan-hubungan yang berkaitan satu dengan yang lainnya. Kemudian, kami juga mendisain Data Flow Diagram dari sistem informasi keuangan Sport Club yang menandakan aliran data-data akuntansi di keseluruhan sistem informasi tersebut. Dengan adanya pseudocode di atas, stored procedure kembali diimplementasikan menjadi: /*=============================================================== Oracle PL/SQL Stored Procedures Data manipulation of the system will be done exclusively through the use of stored procedures. This design decision is made to improve data integrity and consistency. /************************************************************************* Called by the front end system when an employee checks in or checks out. /************************************************************************* Cleans up the work_times table from old data. After cleanup, the work_times table will only contain data for the current month. Tahap design pada kelompok kami menghasilkan DDL, DML dan stored procedure. cmd.CommandType = adCmdText cmd.CommandText = "SELECT to_char(trunc(timestamp),'yyyy') year FROM fin_data_cache where name = 'LABA'" Set rs = cmd.Execute Dim myDate myDate = Now Dim year myYear = DatePart("yyyy", myDate) year = myYear If Not (rs.EOF) Then Dim temp temp = rs.Fields("year").Value thisYear = Right(temp, 4) lbUpdate.Caption = temp If (Val(myYear) >= Val(thisYear)) Then cmdUpdate.Enabled = True End If Else thisYear = Str(myYear) thisYear = Right(thisYear, 4) End If Dim myYear1 myYear1 = myYear Dim ctr For ctr = year To 2001 Step -1 ListYear.AddItem (myYear1) myYear1 = myYear1 - 1 Next ctr ListYear.ListIndex = myYear - 2001 rs.Close createReport 'Download blank page WebBrowser1.Navigate2 "about:blank" End Sub Public Sub createReport() Set cmd.ActiveConnection = dbc cmd.CommandType = adCmdText report = "
" report = report + "
" laba = 0 cmd.CommandText = "SELECT sum(value) total FROM fin_revenue where to_char(trunc(timestamp),'yyyy') = '" + thisYear + "' and upper(source_table) = 'FAC_SELL_ITEM'" Set rs = cmd.Execute report = report + "
Pendapatan non operasional " If Not IsNull(rs.Fields("total").Value) Then laba = laba + rs.Fields("total").Value report = report + " " + Str(rs.Fields("total")) + "
" End If cmd.CommandText = "SELECT sum(value) total FROM fin_revenue where to_char(trunc(timestamp),'yyyy') = '" + thisYear + "' and (upper(source_table) = 'MBR_PAYS' or upper(source_table) = 'NMB_PAYS')" Set rs = cmd.Execute report = report + "
operasional " If Not IsNull(rs.Fields("total").Value) Then laba = laba + rs.Fields("total").Value report = report + " " + Str(rs.Fields("total")) + "
cmd.CommandText = "SELECT sum(value) total FROM fin_revenue where to_char(trunc(timestamp),'yyyy') = '" + thisYear + "' and upper(source_table) = 'SVN_SALES'" Set rs = cmd.Execute report = report + "
Pendapatan souvenir " If Not IsNull(rs.Fields("total").Value) Then laba = laba + rs.Fields("total").Value report = report + " " + Str(rs.Fields("total")) + "
" End If report = report + "
" cmd.CommandText = "SELECT sum(value) total FROM fin_expense where to_char(trunc(timestamp),'yyyy') = '" + thisYear + "' and upper(source_table) = 'FIN_DEPRECIATION_EXPENSE'" Set rs = cmd.Execute report = report + "
Beban depresiasi " If Not IsNull(rs.Fields("total").Value) Then laba = laba - rs.Fields("total").Value report = report + " " + Str(rs.Fields("total")) + "
" End If cmd.CommandText = "SELECT sum(value) total FROM fin_expense where to_char(trunc(timestamp),'yyyy') = '" + thisYear + "' and upper(source_table) = 'STF_PAYS'" Set rs = cmd.Execute report = report + "
Beban gaji " If Not IsNull(rs.Fields("total").Value) Then laba = laba - rs.Fields("total").Value report = report + " " + Str(rs.Fields("total")) + "
" End If cmd.CommandText = "SELECT sum(value) total FROM fin_expense where to_char(trunc(timestamp),'yyyy') = '" + thisYear + "' and upper(source_table) = 'FIN_TAX_EXPENSE'" Set rs = cmd.Execute report = report + "
Beban pajak " If Not IsNull(rs.Fields("total").Value) Then laba = laba - rs.Fields("total").Value report = report + " " + Str(rs.Fields("total")) + "
cmd.CommandText = "SELECT sum(value) total FROM fin_expense where to_char(trunc(timestamp),'yyyy') = '" + thisYear + "' and upper(source_table) = 'FAC_EQUIPMENT'" Set rs = cmd.Execute report = report + "
Beban perlengkapan " If Not IsNull(rs.Fields("total").Value) Then laba = laba - rs.Fields("total").Value report = report + " " + Str(rs.Fields("total")) + "
" End If On Error GoTo handle cmd.CommandText = "insert into fin_income_cache values (to_date('" + thisYear + "','yyyy')," + Str(laba) + ")" Set rs = cmd.Execute handle: If Err.Number = -2147217900 Then cmd.CommandText = "update fin_income_cache set value = " + Str(laba) + " where timestamp = (to_date('" + thisYear + "','yyyy'))" Set rs = cmd.Execute End If report = report + "
Laba " + Str(laba) + "
1. Setelah menekan tombol "Neraca Keuangan" pada form Utama, maka form Neraca Keuangan akan menampilkan neraca keuangan pada browser yang tersedia. V. Testing Phase Testing terhadap sistem informasi Sport Club dilakukan oleh dua orang, yaitu Hansen (sen199) dan Julius Liman (juli199) selama satu hari. Tester melakukan black-box testing, yaitu berfokus pada fungsi dari setiap modul. Black-box testing ini bertujuan untuk menemukan error pada beberapa hal berikut ini: ? Fungsi yang salah / hilang. ? Kesalahan interface. ? Kesalahan pada data structure. ? Kesalahan pada saat run-time. ? Kesalahan pada inisialisasi dan terminasi program. Metode black-box testing yang digunakan adalah Equivalence Partitioning, yaitu metoda yang membagi domain input data dari suatu program menjadi dua, valid dan invalid. Pendekatan yang dilakukan dalam black box testing adalah sebagai berikut: ? Jika suatu kondisi input memerlukan suatu range tertentu, satu valid dan dua invalid set data digunakan. ? Jika suatu kondisi input memerlukan suatu nilai tertentu, satu valid dan dua invalid set data digunakan. ? Jika suatu kondisi input memerlukan suatu anggota dari set tertentu, satu valid dan satu invalid set data digunakan. ? Jika kondisi inputnya boolean, satu valid dan satu invalid set data digunakan. Kami juga melakukan white-box testing, yaitu melakukan testing pada fungsi internal, mengecek semua keputusan logical pada sisi true dan false, menjala nkan semua loop pada batasannya dan validasi struktur data internal. Setelah dilakukan integrasi dengan kelompok lain, dilakukan integration testing. Karena pada integrasi ini yang dilakukan hanya sebatas integrasi pada database maka tidak dilakukan testing lagi pada setiap modul. Jadi hanya dilakukan validasi pada struktur data internal, yaitu melakukan semua operasi yang berhubungan dengan database dengan membuat sample data dan juga melakukan validasi pada setiap operasi yang mengupdate data base. Report "Dokumentasi Sistem Informasi Keuangan Sport Club"